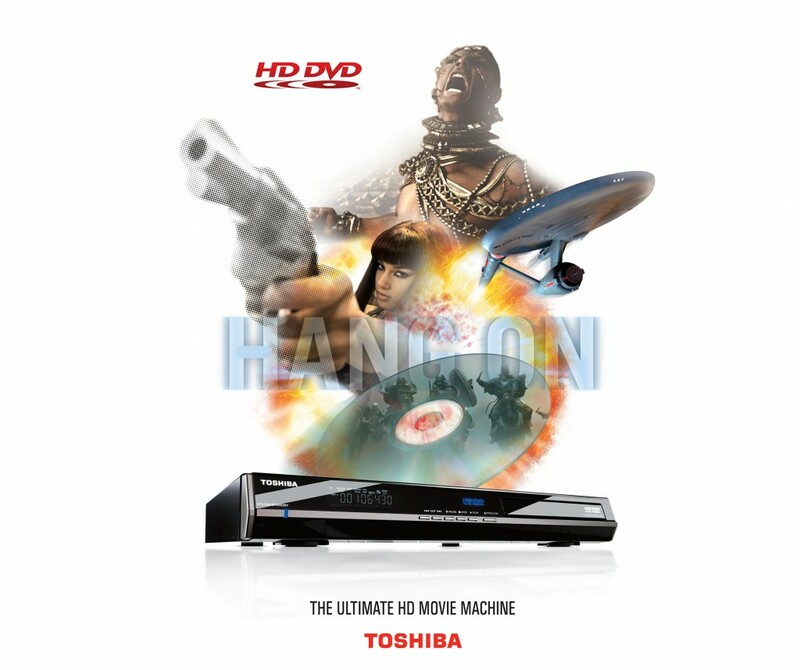 In early 2009, there was a large-scale battle being waged between Toshiba and Sony over high-definition DVD players. 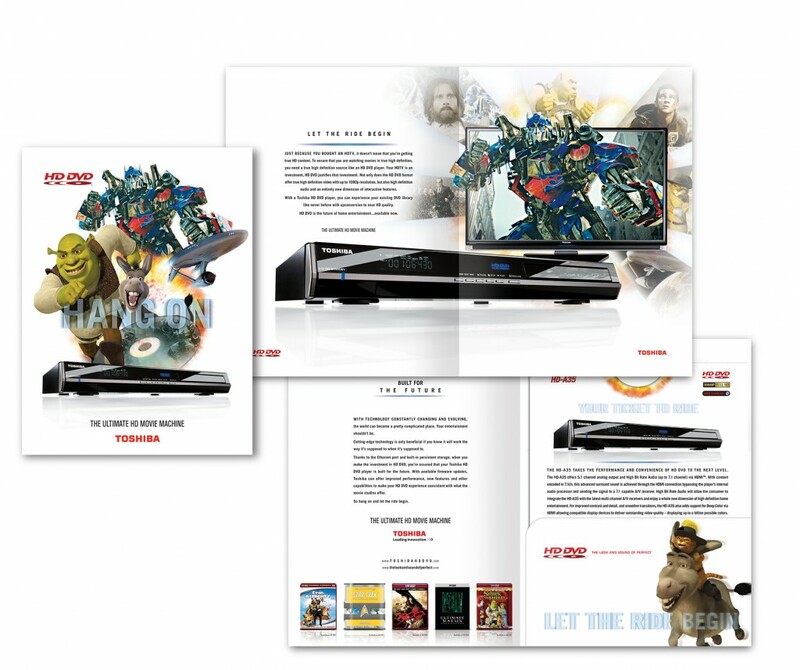 Sony eventually won out with the Blu-ray, but in the meantime we got the opportunity to produce some pretty nice work for the Toshiba side of things. 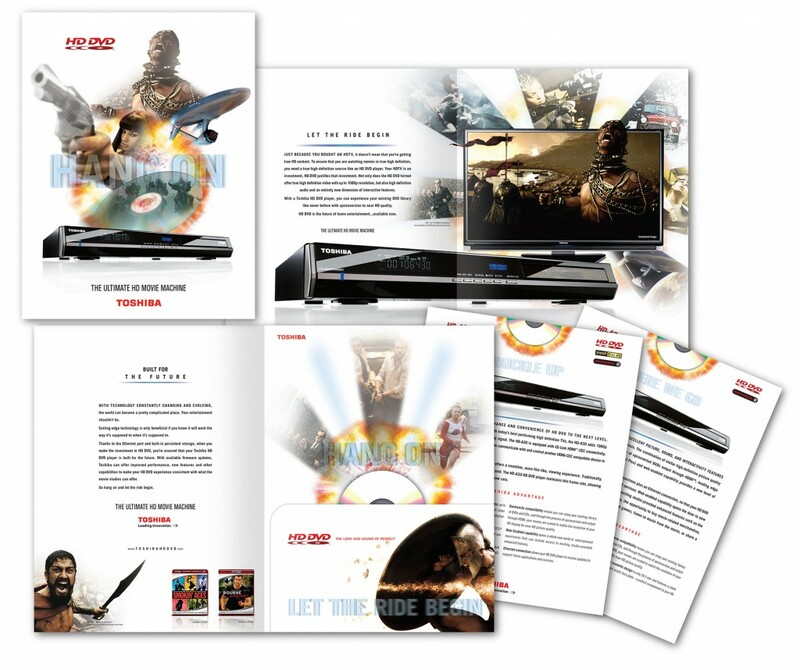 To launch the Toshiba HD DVD products, we created two different brochures, one specifically for the action movie market and one geared toward the family market. 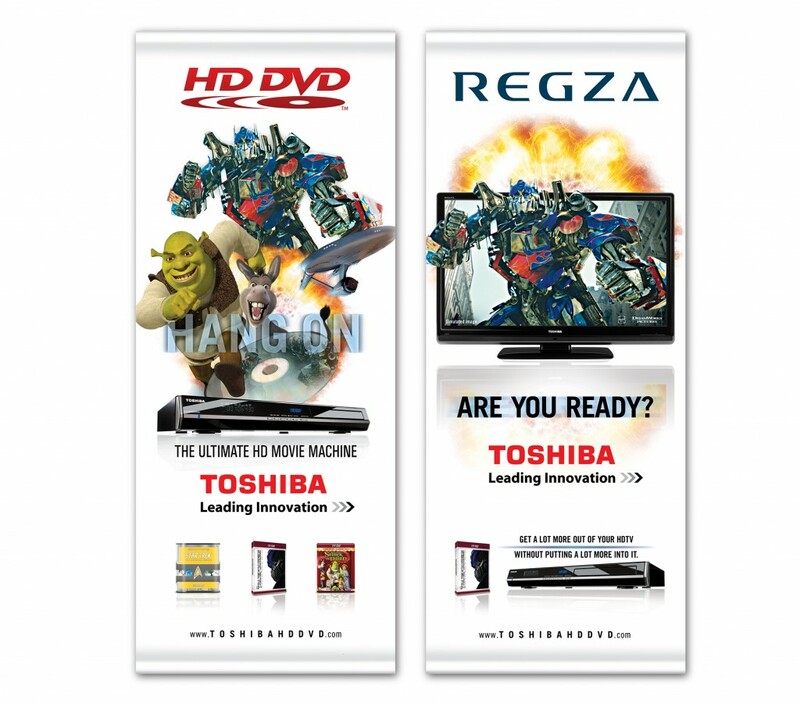 We also produced in-store banners for big-box retailers.